Like many local authorities across the country, Wrexham County Council is committed to reducing their carbon footprint and improving their sustainability credentials. The installation of a biomass boiler to provide the heat at Redwither Tower has allowed them to improve the green credentials of this large old mill building as well as providing an income stream from the RHI payments that they receive. Following a rigorous appraisal of the Redwither Tower’s heating, site and construction requirements, Rural Energy acted as main contractor to deliver this turnkey project. 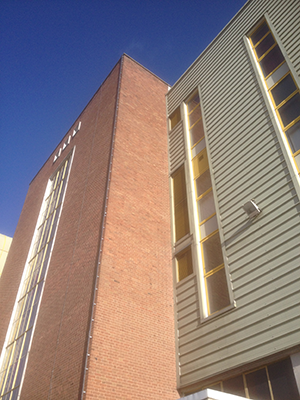 With numerous businesses located on site, this development had to be managed to ensure both minimum noise and mess and a dedicated site manager was employed to manage the health and safety on the site as well as coordinate the numerous local and regional subcontractors that included scaffolders, pipefitters, electricians, flue and roofing specialists. What was previously an old mill building has now been converted into mixed use offices and industrial serviced accommodation which includes a call centre on the second floor so any building works had to be controlled within certain time periods to minimise disturbance. 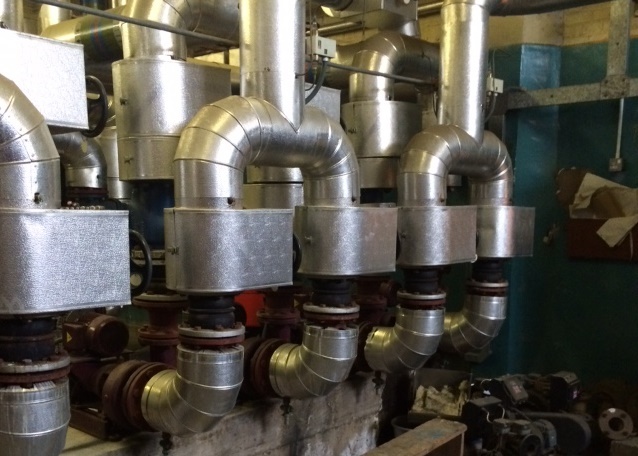 This was no mean feat as the existing plantroom needed completely ripping out – this included the safe removal of the three old gas boilers, plant equipment, flues and a proportion of the pipework and electrics. To minimise the rubbish created, any waste was cleared regularly during the day and recycled or disposed of locally. The existing gas system was replaced by a new energy centre that included an 800kW Herz Biofire biomass boiler plus two 1.2MW gas boilers as a back-up to meet any extra heating demand. 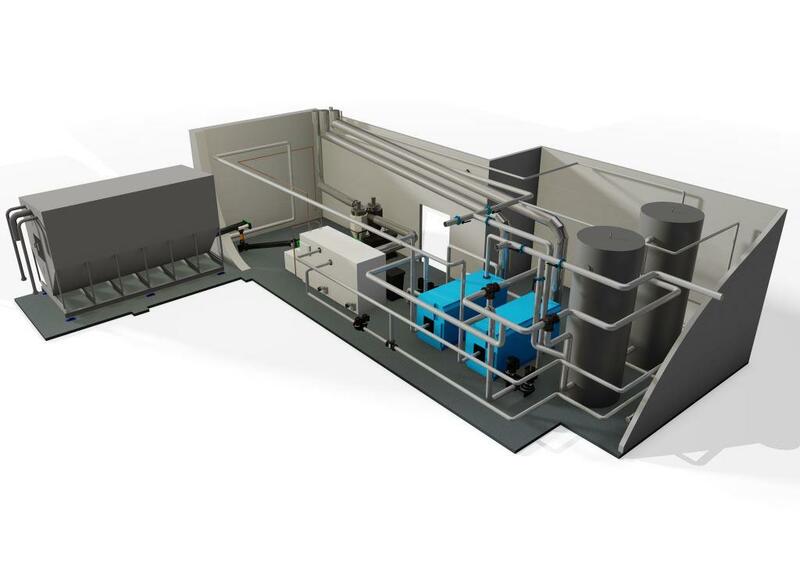 With its small foot print, the Biofire was ideal for this project – fitting comfortably into the plant room, it provides maximum output for minimum floor space and allowed sufficient space to accommodate the additional gas boilers. With Wrexham County Council already working with an established pellet supplier, it was clear that providing a custom-built, wood pellet silo was key for this local authority. Measuring over six metres long, a bespoke fuel store was designed and fabricated by Rural Energy to ensure easy access for pellet delivery vehicles with the fill and vent pipes installed at an easily accessable point for the fuel supplier. To complete this project Rural Energy also managed the installation of new control valves, pipeworks and a control system to the ten heating distribution plantrooms that provide heating to each of the buildings three floors.